Having fun with your family and friends in your backyard swimming pool, or even enjoying some private time alone in your pool, are among life’s greatest pleasures. So you shouldn’t have to feel self-conscious when you are doing them. Instead, create a privacy barrier between your backyard swimming pool with fencing, protective shrubs, or other sight barriers. Your backyard swimming pool can be your personal sanctuary. It’s where you can escape from the outside world, the pressures of work, and even the prying eyes of nosy neighbors. Protect your privacy by having a fence built around your backyard. Or plant shrubs that grow tall enough to block your pool from public view. You don’t have to be a celebrity to value your privacy. You don’t even need to have anything to hide. The right to privacy is an inherent personal liberty, one that is actually specifically protected in the Constitution. Generally, it’s easier to create privacy around an in-ground pool than it is an above ground pool. A simple eight-foot privacy fence or shrubbery of the same height is usually enough. With above ground pools, however, there is more of a challenge. 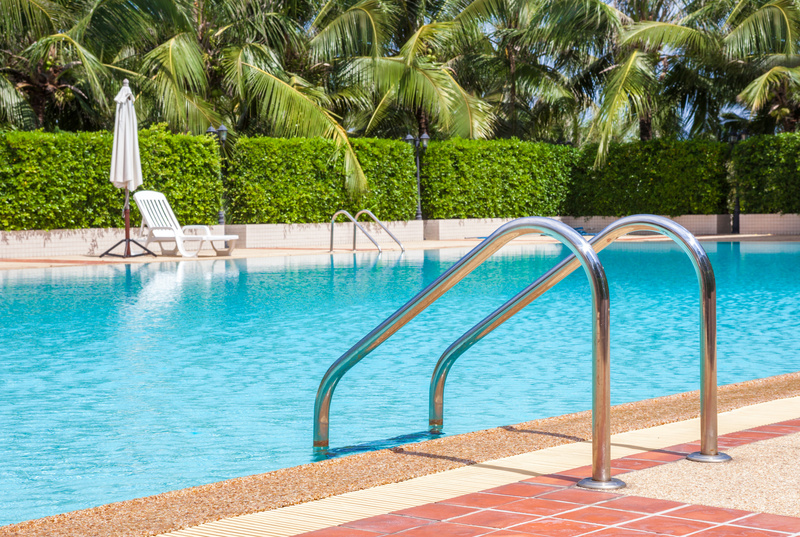 That’s because even if you have an eight-foot fence or even taller, people can still sometimes see you if you are standing on an elevated deck surrounding your pool. In this instance, shrubs or trees that grow even taller are often a better, more affordable solution. That’s because some shrubs can grow upwards of 10 feet or higher — more than enough to surround your above ground pool. Your backyard pool is a special place. Surround it with privacy so you can relax with your family and friends in comfort and security.